Synthetic Sound – Amit Bahree's (useless?) insight! Trained a model to create a synthetic sound that sounds like me. This is after training it with about 30 sentences – which isn’t a lot. 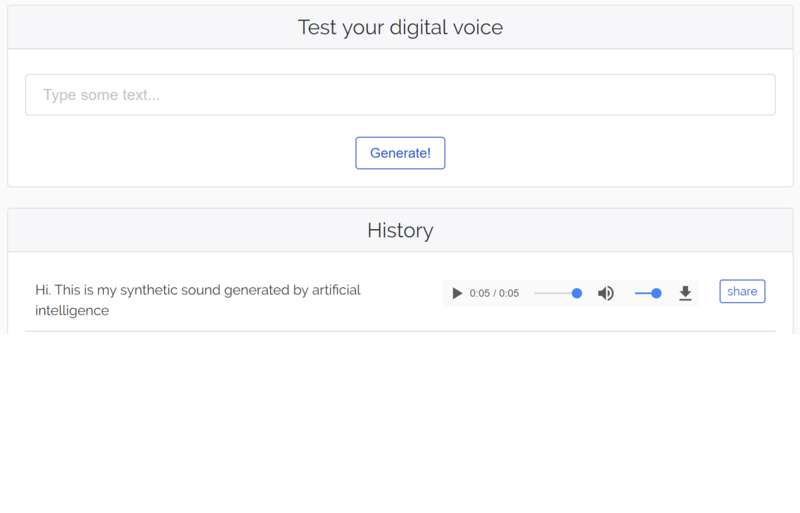 To create a synthetic voice, you enters some text, using which is then “transcribed” using #AI and your synthetic voice is generated. In my case, at first I had said AI, which was generated also as “aeey” (you can have a listen here). So for the next one, changed the AI to Artificial Intelligence. One does need to be mindful of #DigitalEthics, as this technology improves further. This is with only a very small sampling of data. Imagine what could happen, with public figures – where their recordings are available quite easily in the public domain. I am thinking the ‘digital twang’ is one of the signatures and ways to stamp this as a generated sound.